We are often asked about common eye conditions, for the symptoms as well as ways to deal with certain complaints. The health of our eyes is often taken for granted but there are things that we can do to prevent problems and promote healthy eyes. The following information and the leaflets published by The College of Optometrists (found at the foot of this page) provide a useful insight into some of the most common eye conditions. Blepharitis is the inflammation of the eyelids. As one of the possible common eye conditions, many people may have low levels of Blepharitis. However inflammation can occur for longer periods of time which may in turn require treatment. Blepharitis is not usually a serious condition and vision is rarely affected. However if left untreated it may affect the consistency of your tears leading to dry eye symptoms. What causes Blepharitis? Blepharitis can result for a number of reasons primarily due to bacterial infection, allergies and dysfunction of the glands within the eyelids. Other causes may include skin conditions such as dermatitis, smoke, chemicals and pollutants. What are the symptoms? Blepharitis may affect both eyes causing the eyelids to appear red and inflamed. This may make your eyes feel dry, gritty and sore. 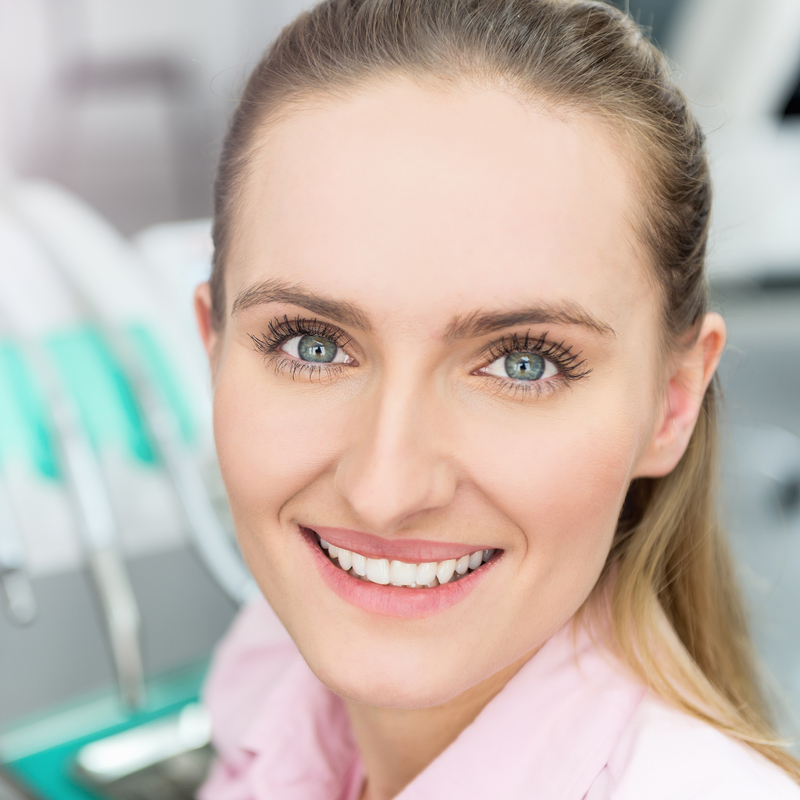 These changes may affect the consistency of your tear film causing it to have a frothy appearance. Your eye lids may become sticky when waking up and sometimes dandruff like crusts may appear on eyelashes. For best results use a dedicated lid cleansing solution (Blephasol or Blephaclean). This involves applying the solution onto a cotton wool swab to the lid margin area for two to three minutes. This cleans the lids and lashes wiping away the bacteria. Warm compresses or masks pressed against the eyelids can help to loosen the crust around the lashes. Avoid wearing any eye make up (mascara and eye-liner) particularly until the symptoms have cleared up. Severe cases may require antibiotics. Your Optometrist will be able to give you the most suitable advice on products to use. Avoid sharing towels as this may cause infection to spread. What can I expect to happen? Daily lid margin therapy will successfully treat Blepharitis in most cases and also minimise the risk of re-occurrence. If symptoms do not cease or worsen consult your Optometrist or Doctor. 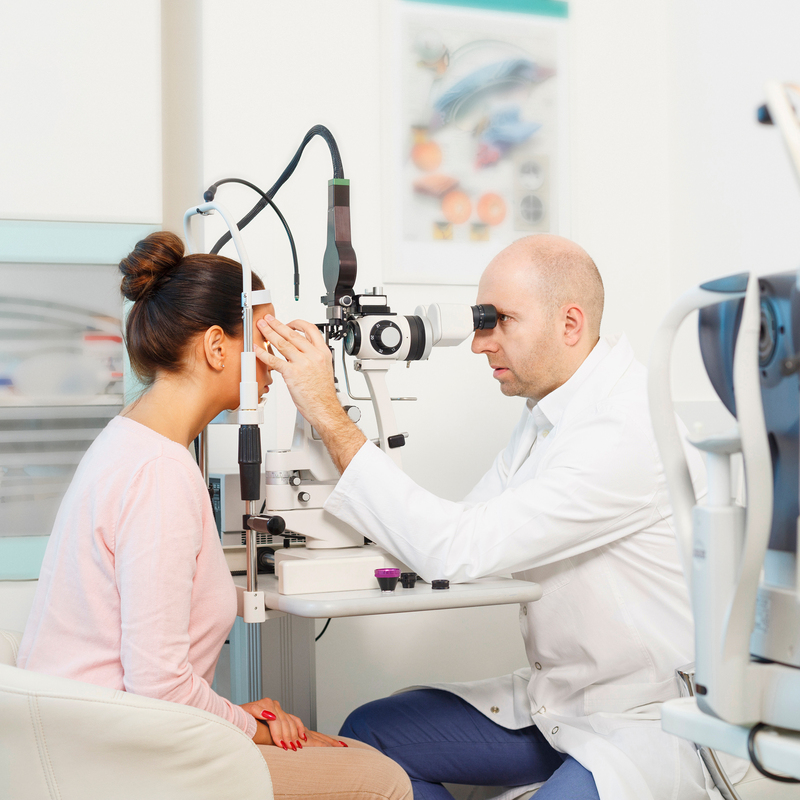 Common Eye Conditions need to be considered when you are making this important decision. The lens is normally clear and sits behind the iris (the coloured part of the eye). It helps focus light to produce a sharp image on to the retina at the back of the eye and changes shape so that we can see close objects. A cataract is a clouding of the lens in your eye and can occur in both eyes. It acts like a frosted glass that scatters light, causing a blurred effect or lack of clarity. Cataracts can occur at any age. In younger people they stem from certain medications, diabetes and other eye problems. In general cataracts occur as the eye grows older. Many people over 60 have them. However, this can be one of the common eye conditions. Double vision: You may notice this for either close objects or distance objects. Blurring: Vision may become misty and blurry, causing fine detail to be missed at a distance. Glare: Your vision may be poor in bright light and be affected by glare such as street lamps or car headlights. These may be more blinding than usual. 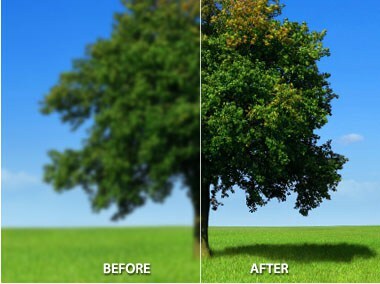 Changes in colour vision: Colours may appear washed out or faded. Some of these symptoms can be signs of other common eye conditions. Your Optometrist will be able to monitor any changes in the lens that may lead to cataracts several years before experiencing any symptoms. How are they treated? The majority of cataracts can be treated. This usually consists of a short operation to remove the old clouded lens to replace it with a clear plastic intra-ocular lens. Most people go home the same day as the operation. If you drive you must be able to meet the visual standards required and 100% ultraviolet protection sunglasses are recommended. If eligible for surgery you will have a pre-operative assessment. The surgery takes approximately 30 minutes and is carried out by creating a small self-healing incision on the surface of the eye. You will need to use drops and wear a protective shield over the eye following surgery. Vision immediately improves, however, healing can take several weeks. If you are a glasses wearer its more than likely that you will require a new prescription, especially for reading. This is because the intra-ocular lens is only set for distance vision. We recommend you have an eye test every two years unless instructed otherwise by your Optometrist. You can find out more about cataracts by visiting www.rnib.org.uk Royal national institute of blind people. The eye is filled with a clear jelly-like substance called the vitreous humour that helps to maintain its natural shape. Debris within the vitreous humour casts a shadow on the retina (back of the eye) and appears to float in your vision. Floaters can appear in various shapes and sizes such as black dots, hairs, shadows or smoke. They are more noticeable on white walls, blue skies and just pale backgrounds in general. They tend to move when your eye moves in different directions and disappear quickly when you look at them. Most are small however larger floaters can be irritating and make activities such as reading or driving more difficult. It is one of the common eye conditions to experience floaters however they are usually harmless. They can also cause flashing lights. What causes them? Changes in the vitreous humour can occur over a lifetime. With age strands of collagen become visible and it is the shadow of these strands that causes these floaters. Light travels through the vitreous humour to reach the retina which then transmits images to the brain via the optic nerve. When you are young the vitreous humour is attached to the retina but it starts to shrink and change over time and can pull away from the retina. This causes symptoms of flashes and floaters. Around half the population have floaters by the time they reach 50 years of age where most are unaware. Therefore it is one of the more common eye conditions. In some cases the vitreous humour can tear the retina as it pulls away. If the retina detaches, blood can escape into the vitreous humour causing a shower of flashes and floaters. Retinal tears or detachments may also be the result from impact to the head or eye. Who is at risk? Everyone, especially if you are highly myopic (short-sighted) or play certain contact sports. If you experience a sudden onset of flashes and floaters it may be caused by a retinal detachment or tear. To investigate this you should visit our Optometrist immediately. What are the symptoms? Many people do not notice flashes and floaters as the brain constantly adapts to the changes in vision. However, a sudden onset of flashes and floaters can indicate something more serious. The symptoms are never painful. Notice a sudden increase in the number of floaters or they start to look change appearance. Start to see flashing lights. Have experienced floaters in one eye but now they appear more noticeable or appear in the other eye. Have floaters which make it difficult to carry out everyday tasks such as driving or reading. Have a grey area, shadows or hair like areas appearing in your vision. Eye drops will not make flashes or floaters disappear. If one appears in your line of vision try moving your eye quickly up and then down. This causes the vitreous humour to move and help shift the floaters elsewhere. How are they treated? Floaters do not usually cause long-term visual impairment but you should tell your Optometrist if they occur. Your Optometrist will check our vision and examine the appearance of the back of your eyes. Drops will enlarge the pupil giving the Optometrist a better view of the eye and your field of vision may be analysed. If a retinal detachment is suspected you will be referred to a hospital. Dry eye is one of the common eye conditions which is caused by problems with evaporation or production of tears. When we blink tears move across the eye to lubricate the front surface of the eye. What causes it? Dry eye is mainly caused by pregnancy, some medications and some medical conditions such as rheumatoid arthritis, stroke and Sjogrens syndrome. Other causes include windy weather, air conditioning, smoking and activities where you may blink less such as using the computer for long periods of time. What are the symptoms? Symptoms of dry eye may include grittiness, burning sensation, itchiness, redness and general irritation. If you are a contact lens wearer comfort may be a problem. How is it treated? Tear film assessment: A dye is placed in the tears to allow the Optometrist to assess quality and quantity. A slit lamp is used to observe the eye, measuring how long it takes after blinking for the eye to start to dry and the dye highlights any damaged cells. There is no exact cure for dry eye but symptoms can be managed and monitored . An increase in your blink rate generally encourages the number of tears produced. Frequent breaks when using the computer may help and wearing your glasses to protect the eyes from elements. Eye drops will help to keep the eyes moist. Your Ophthalmologist may reduce the amount of tears which are drained away by plugging drainage channels but drops may still be required. Extreme cases may require surgery. Glaucoma is the name given to a group of common eye conditions in which the Optic nerve is damaged. The Optic nerve is responsible for carrying images from the retina the light-sensitive part of the eye to the brain. Congenital Glaucoma (A condition seen in babies caused by a malformation of the eye). Secondary (caused by another eye condition). According to RNIB 1% of people are affected by Chronic glaucoma after the age of 40. This rises to 5% after the age of 65. What causes it? In order to maintain its shape the eye requires a certain amount of pressure. This balance of pressure is maintained by the production of aqueous humour (watery fluid) in the ciliary body. The departure of this watery fluid from the eye through tin drainage channels. If aqueous fluid cannot drain through these channels this leads to a rise in the pressure resulting in glaucomatus damage to the optic nerve. Chronic glaucoma is more common particularly after the age of forty. A family history of glaucoma, diabetes, severe short sightedness and those on certain medications may also be at higher risk. People of African or afro Caribbean origin maybe at a higher risk of chronic glaucoma, where severity depends on age of onset. What are the symptoms? As one of the Common Eye Conditions, Chronic glaucoma is not painful and often has no symptoms, at first your vision may not be affected. Over time the damage to the optic nerve reduces your field of vision and may cause a blind spot in the centre of your vision. If untreated this blind spot spreads and causes the effect of tunnel vision. Acute glaucoma is painful, but can cause discomfort and haloes around lights. This can happen quickly and requires immediate treatment. As one of the possible common eye conditions, you need to be aware. Measuring the intra-ocular pressure (eye pressure). Examination of the optic nerve appearance. A field of vision test to detect any blind spots. How is it treated? If glaucoma is suspected your Optometrist will refer you to the hospital to see an ophthalmologist for further diagnosis and treatment if required. Treatment is usually carried out by the use of eye drops to reduce the pressure within the eye by helping drainage of the fluid. In some cases operation or treatment by laser may be required. What can I expect to happen? Although damage caused by glaucoma is non reversible, with a regular eye test and early diagnosis appropriate treatment minimises this risk. If some sight loss does occur, your Optometrist can advise you on low vision aids. A regular eye test is important to detect any conditions affecting the eyes. Patients with a positive family history of Glaucoma aged over 40 should have a regular eye test every 12 months. To find out more information please visit www.rnib.org.uk. Royal national institute of blind people or call 08457669999. What is it? The Retina is a light-sensitive membrane attached to the inner surface of the eye. Light enters the eye and falls on the retina allowing us to see images, which are transmitted along the optic nerve to the brain where the image is processed so we can see. The Macula is a small area in the middle of the retina, with the greatest amount of light-sensitive cells, used for fine detailed central vision. Macula degeneration is a painless disorder that can affect either eye causing progressive loss of the central vision. AMD (Age related macula degeneration) is the most common form, although some forms affect younger people. There are two main types of AMD referred to as “wet” and “dry”. This is not a description of how the eye feels but of whether leaking blood vessels are involved. Dry AMD accounts for 90% of cases with 10% of the wet type. Dry AMD can become wet. What causes it? Macula degeneration results from a partial breakdown of cells within the retina. Some layers of the Retina thicken and waste material that is normally removed forms deposits, distorting the retina. The cause of the condition is unknown, however risk factors include a positive family history, smoking, exposure to sunlight and a poor diet which is high in saturated fat.The Macula is a small area in the middle of the retina, with the greatest amount of light-sensitive cells, used for fine detailed central vision. Macula degeneration is a painless disorder that can affect either eye causing progressive loss of the central vision. AMD (Age related macula degeneration) is the most common form, although some forms affect younger people. There are two main types of AMD referred to as “wet” and “dry”. This is not a description of how the eye feels but of whether leaking blood vessels are involved. Dry AMD accounts for 90% of cases with 10% of the wet type. Dry AMD can become wet. What are the symptoms? Wet AMD can cause a sudden onset of symptoms over days, resulting from a build-up of fluid under the retina. Dry AMD progresses slowly over a number of years and the onset of symptoms are gradual which consist of blurred or absent central vision. Distortion can also occur so that straight lines appear wavy or objects appear larger or smaller than normal. This makes it difficult to judge distances accurately. It may be difficult to read, watch television, recognise faces and drive. However peripheral vision remains clear and those with AMD usually maintain their independence. Common eye conditions are important to take into account. Especially when making any decisions involving your eyes. © 2018 Optyco. All Rights reserved.